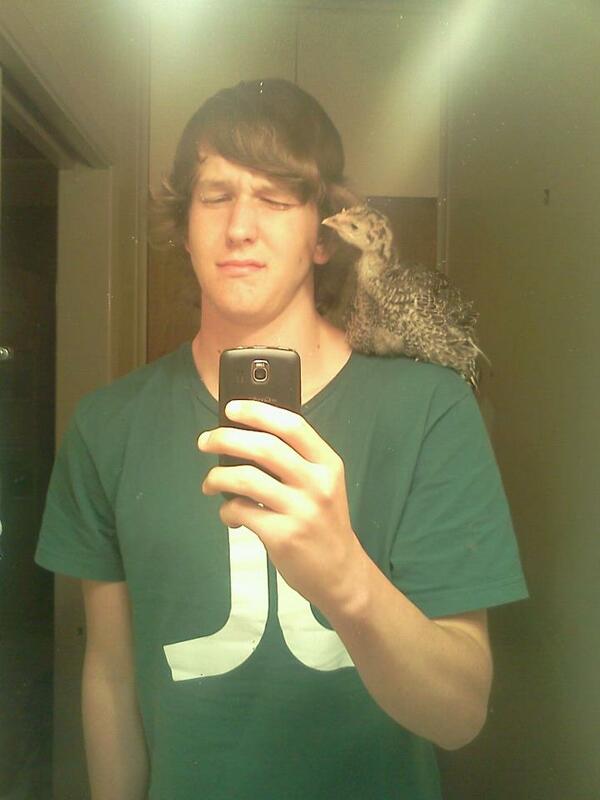 Shoulder chickens, so hot right now. About a day ago, redditor clc0608 posted this picture with the caption, "I'll raise your shoulder turkey. Shoulder chicken." The shoulder turkey being referred to is seen in this picture, which was actually posted two years ago by redditor thefastandthecalm. The image was recently revived when it was submitted under a different username. 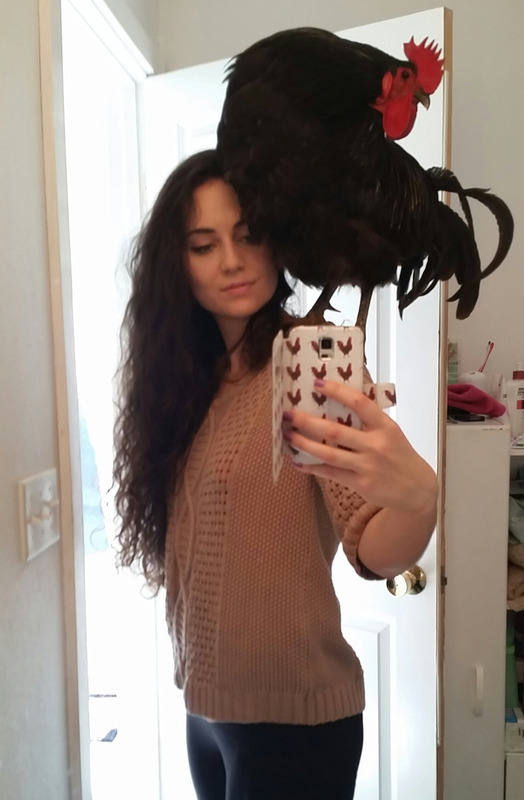 Turns out, a lot of people have shoulder chickens. Adam Savage of Mythbusters shared this photo from 2003. ...there's no such thing as too many. Anyone else having shoulder chicken envy? Never in my life have I wanted a shoulder chicken. Until now.